Richard Sibley of Photo Gear News – supported by Hireacamera – was lucky enough to attend the launch of the two new full-frame bodies from Panasonic, in Barcelona last week. In this quick but in-depth video, he covers everything you need to know about the S1 and S1R – from ergonomics and build quality to low light performance, recording codecs, IS capabilities and even animal (cushion??) detection! He also goes on to explain Panasonic’s justification for not offering the front-facing LCD, which does actually make a fair bit of sense, and as Richard states, you can easily mount an external screen on top. 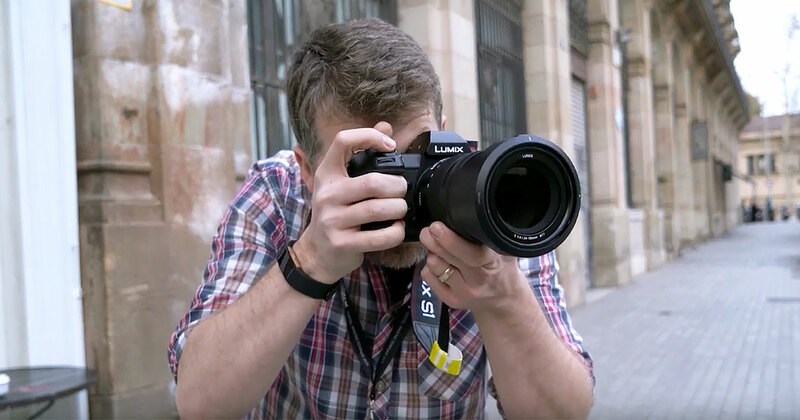 In addition to the camera bodies, Richard also explores two of the new lenses; the LUMIX S PRO 50mm F1.4 and the LUMIX S 24-105mm F4 MACRO O.I.S both in the studio and on the streets of Barcelona.